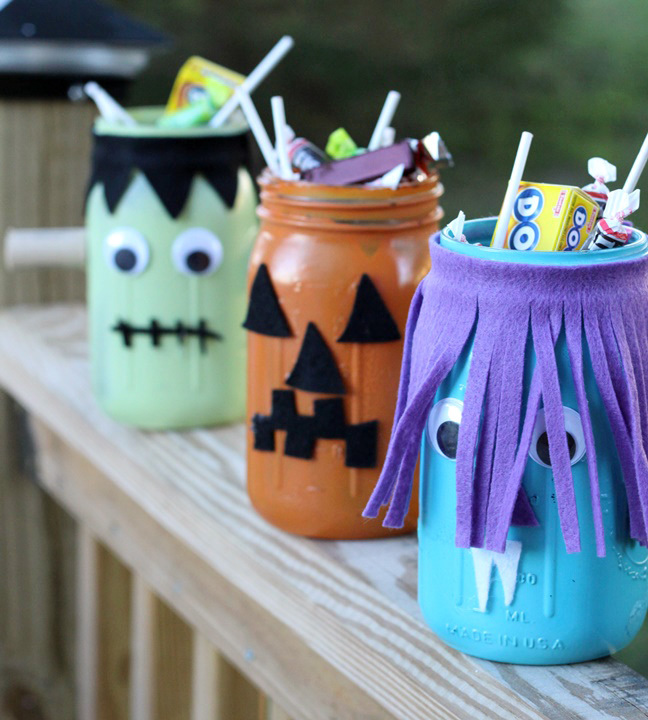 These fun monsters will make a great container for your child’s Halloween candy this year, or you can combine several into a scary display for beggar’s night. 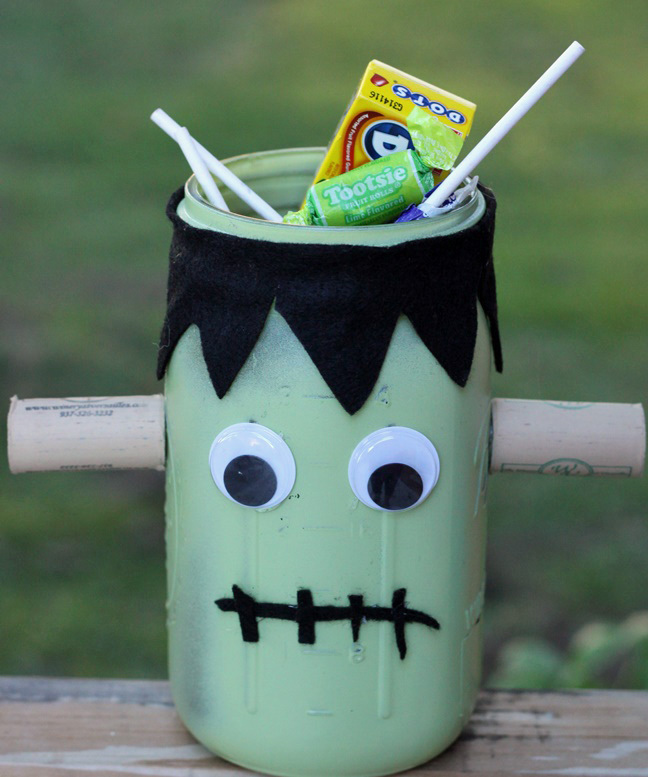 They’d also be fun for a Halloween party, or as a take home party favor filled with candy. Step 1: Spray paint a quart-size glass jar light green. 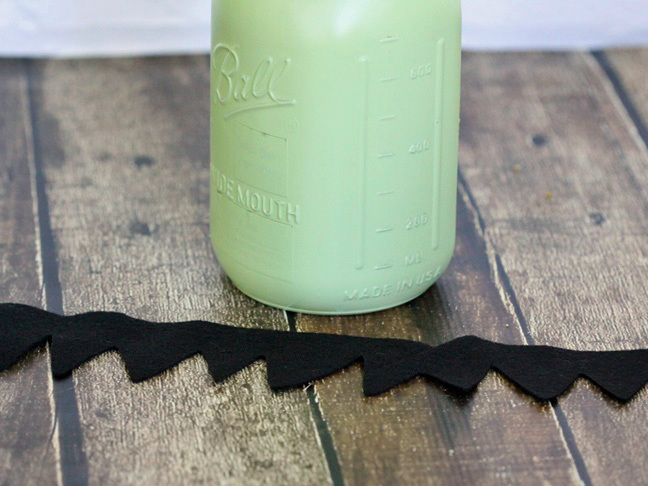 Step 2: Cut a black strip of felt about 1-2 inches wide by 11 inches. Cut triangles into the strip to make Frankenstein’s hair. Use a hot glue gun to glue the strip around the top of the painted jar, with the points of the triangles facing down. 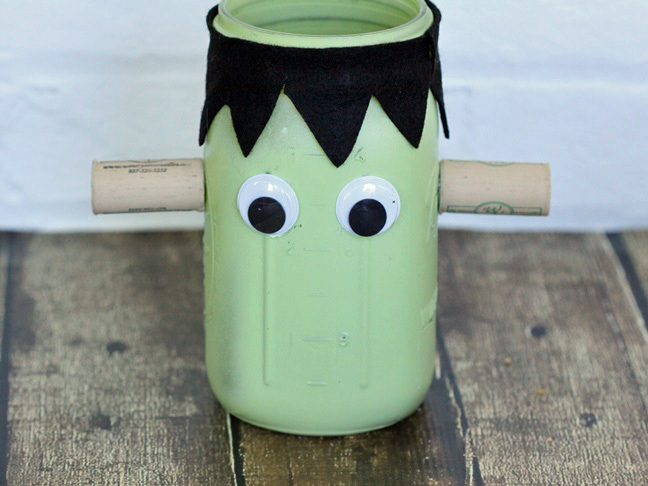 Step 3: Add wiggly eyes to Frankenstein’s face. Step 4: Add 1 cork to each side of Frankenstein’s face. Step 5: Cut one 2 to 3 inch thin strip of felt, and three to four narrow strips about ½ an inch long. Glue the 2 to 3 inch strip horizontally for Frankenstein’s mouth. Glue the shorter strips vertically across the horizontal strip about a ½ inch apart to look like stitches. Step 6: Fill with candy. 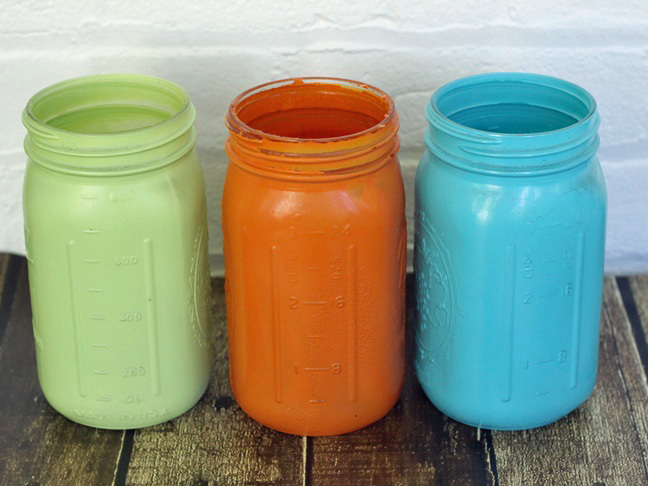 Step 1: Spray paint a quart-size glass jar with orange paint. 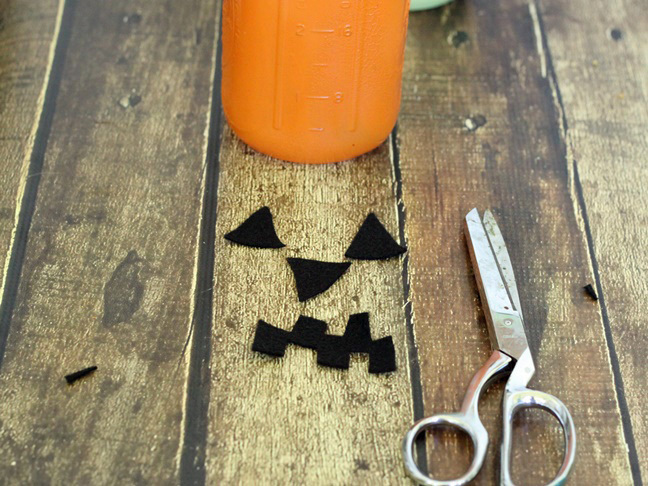 Step 2: Print out the printable pumpkin face pattern and cut out the triangle and mouth. Cut three triangles from black felt, and one mouth. 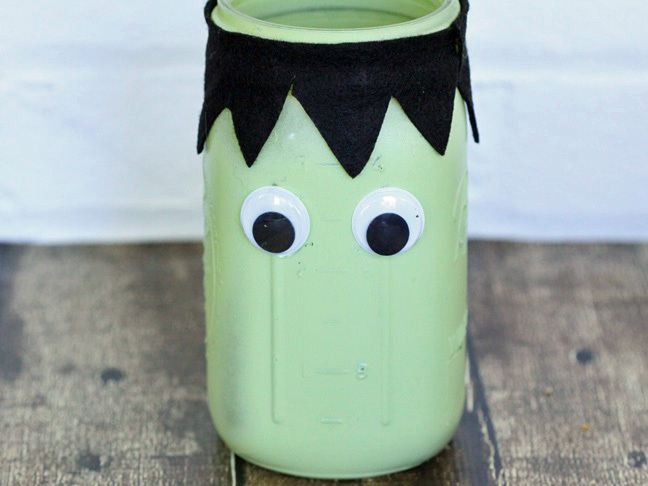 Step 3: Glue two of the triangles to the jar as eyes, and one as a nose for the jack-o’-lantern using a hot glue gun. Step 4: Glue the mouth in place with a hot glue gun. 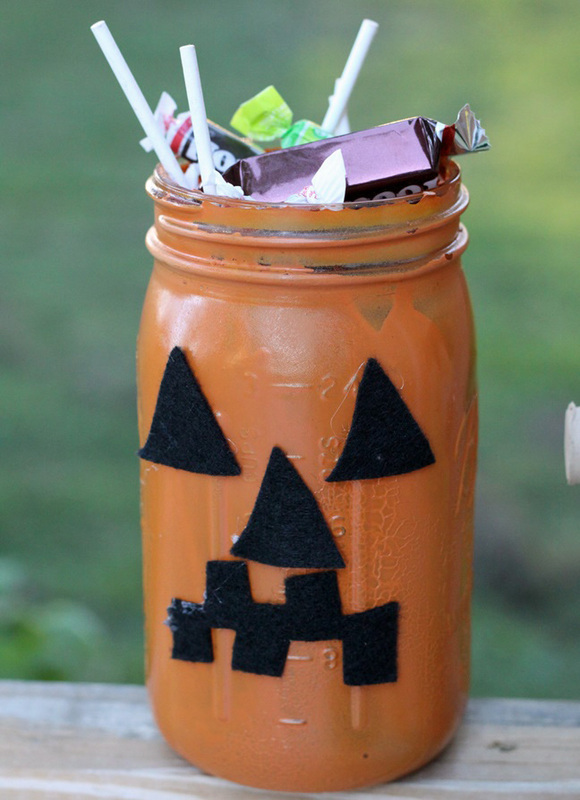 Step 5: Fill the jar with candy. Step 1: Spray paint a quart-size glass jar with blue spray paint. 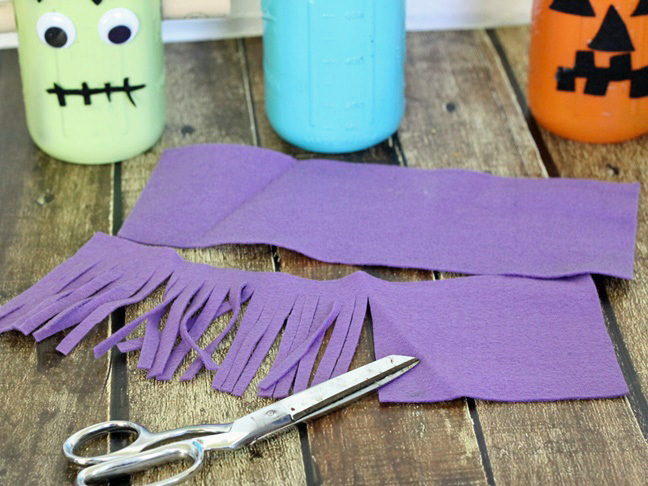 Step 2: Cut the purple felt in half lengthwise, then cut ¼ inch wide strips almost all the way through the strip on the short side to make the monster’s hair. Don’t cut the strips all the way through; leave a little strip at the top uncut. 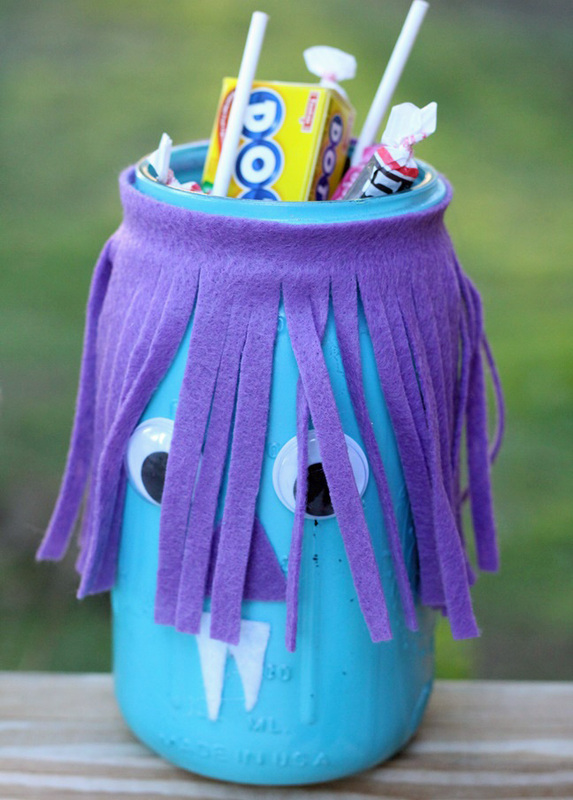 Glue the hair with the solid strip around the top of the jar. Step 3: Add wiggly eyes under the hair to the monster’s face. Step 4: Print out the monster pattern and cut out the monster teeth pattern. Cut one from a piece of white felt and hot glue it to the jar with the points of the triangles pointing down for the mouth.